Barcelona, Spain. Each day about 20 people go to the center Vincentian and they do queue for a meal. In Spain is increasing the hunger and scenes like this are very common. 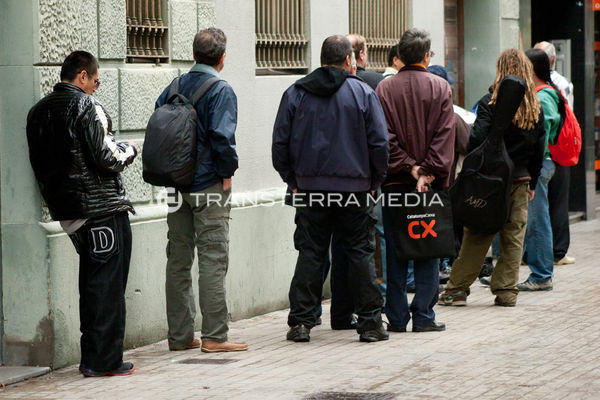 Unemployment in Spain has come first in democracy to 25%, the economic crisis is generating growing protests over hunger. In 2011 be fed nearly a million with hungry Spanish, more than double that in 2007.